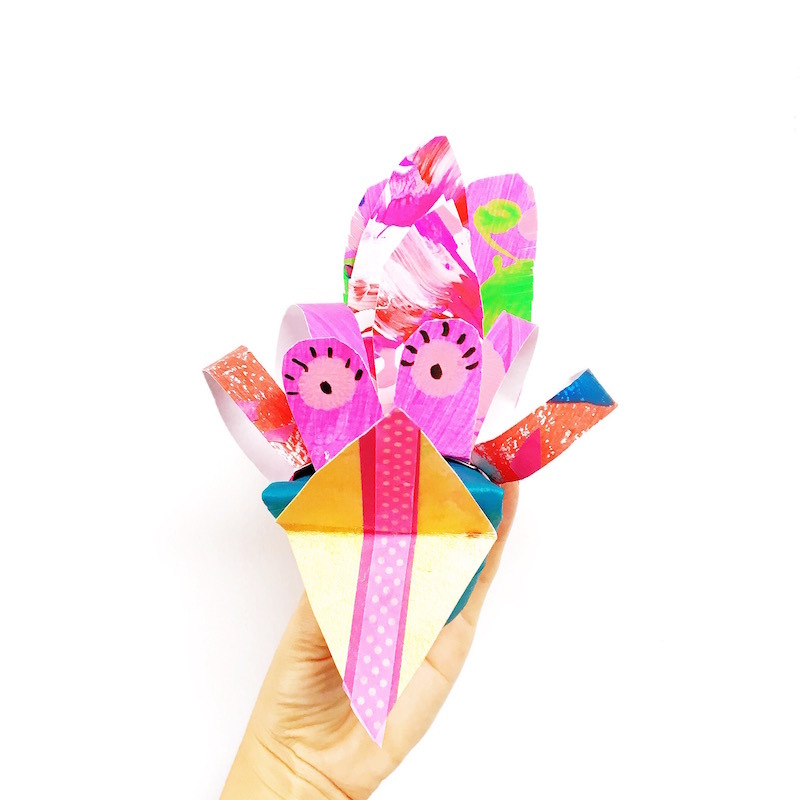 The Easter long weekend is an excellent time for chocolate-eating and crafting. 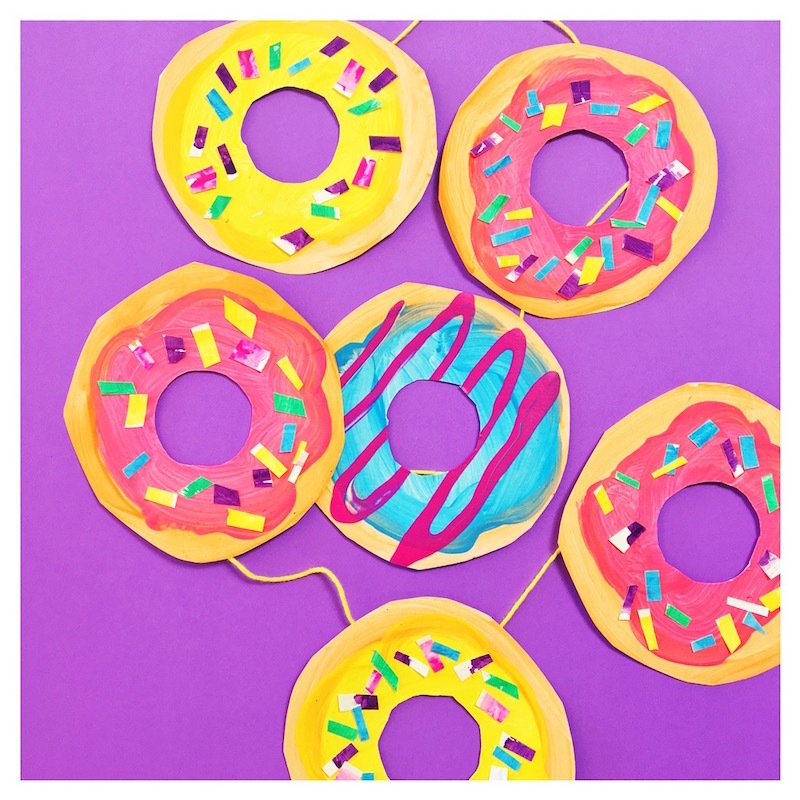 In need of some Easter craft ideas? Well, 19 of my friends and I have your back. 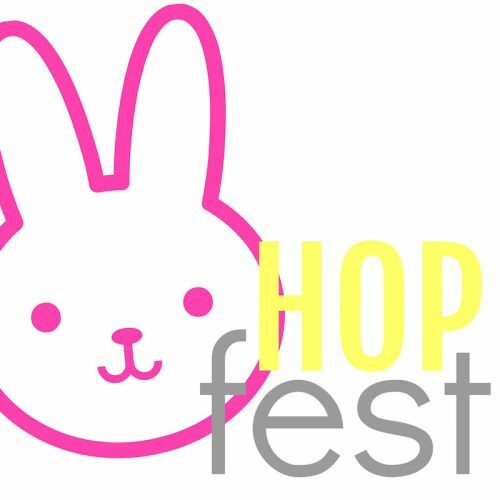 20 creative ladies from across the world are taking part in Hopfest, organised by my lovely friends from Little Button Diaries. It’s a veritable rabbit hole chock-a-block filled with Easter and Spring makes. Everybody started confirming their ideas. I joked that I had no ideas on what to make and that I would be pulling a rabbit out of a hat. An Easter hat that literally had a bunny hopping out to say hello. 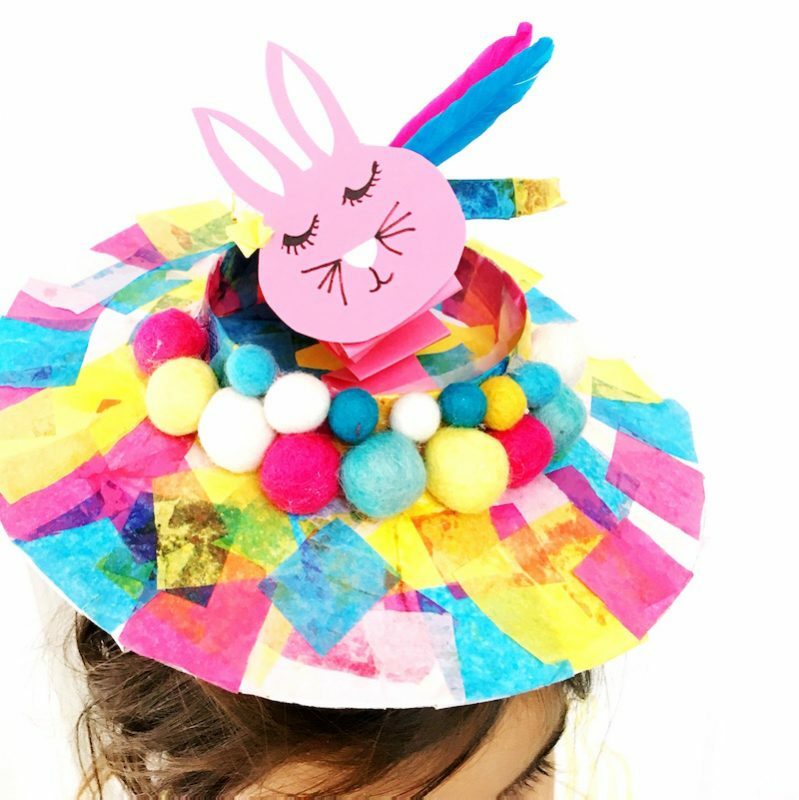 This is a fun Easter craft if you need to whip something up for the school Easter hat parade. Raid the recyclables stash and find a nice round container. Ours is an old dip container. You might choose to have a taller container like a yoghurt container, if you so wish. An adult will need to complete the next step. Using a craft knife, cut around the base of the container. This will be the “lid” to your hat, so be sure to leave about 1cm attached. 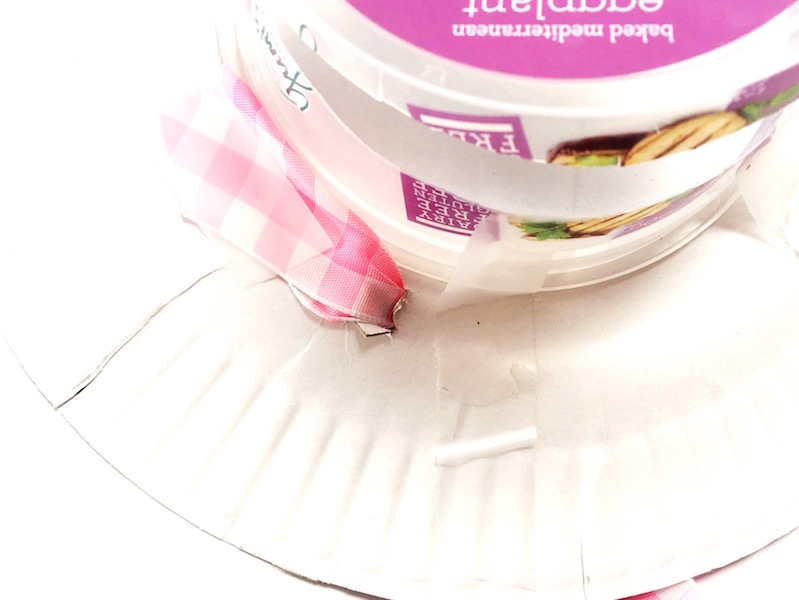 Tape the container to the centre of a paper plate. It’s a good idea to attach your ribbon at this point. 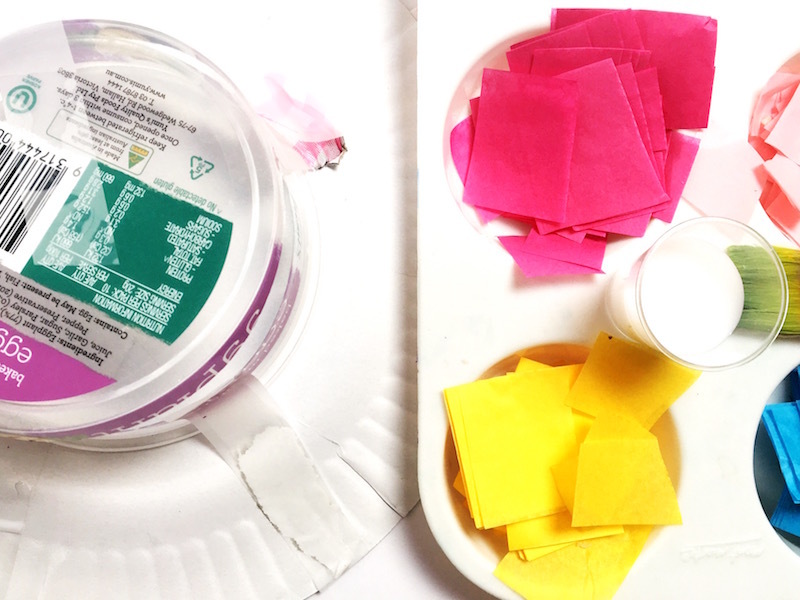 Make a hole on either side of the container and thread your ribbon through. Tape it down. This creates a tie so that the hat remains on the wearer’s head as they parade proudly. Glue small squares of tissue paper onto your hat. 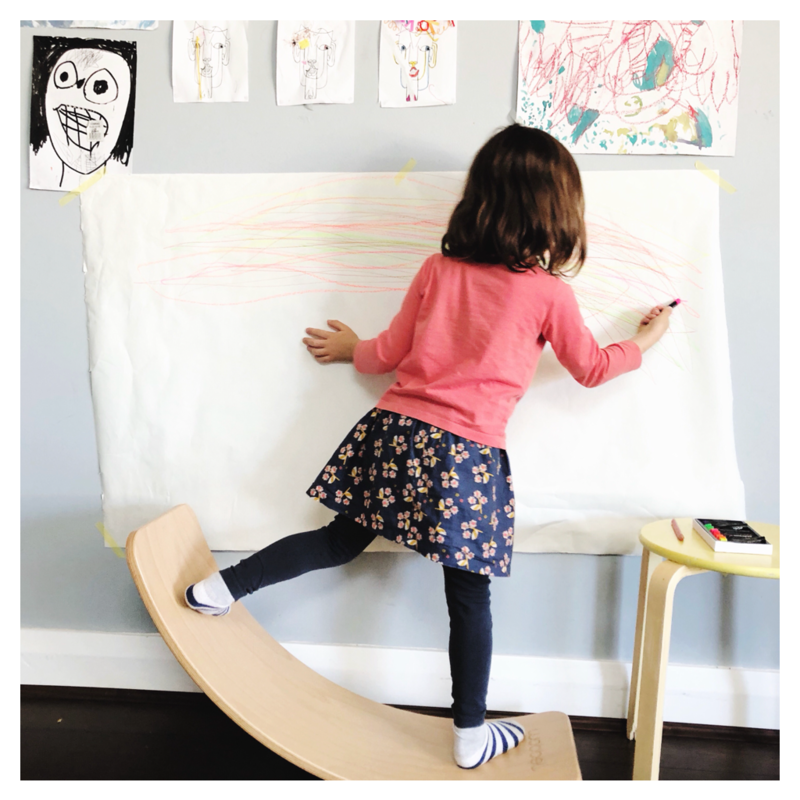 This step can be a bit frustrating for younger children. 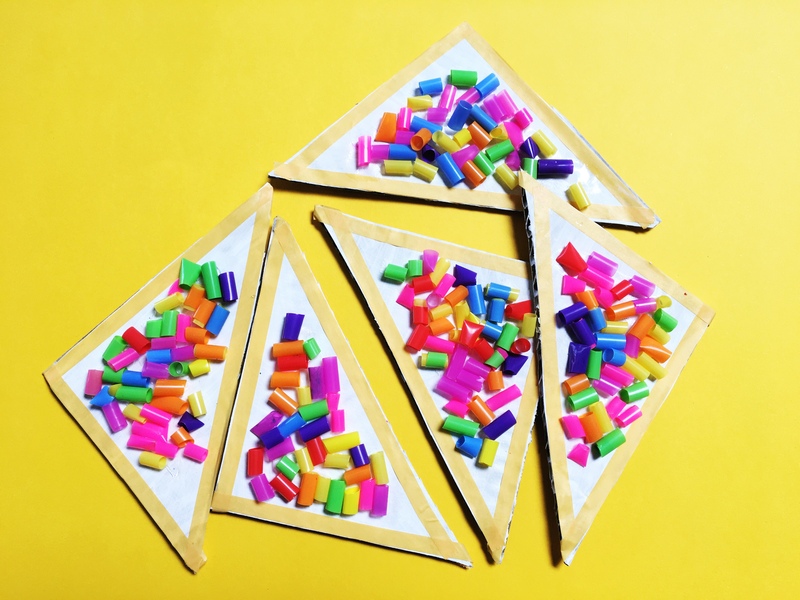 As their hands become sticky with glue, the tissue paper can get stuck to their fingers. I recommend advising them to cover areas of the hat in glue and then work quickly to cover with tissue paper. Keep a wet sponge in the work area so the children can wipe their fingers as need be. 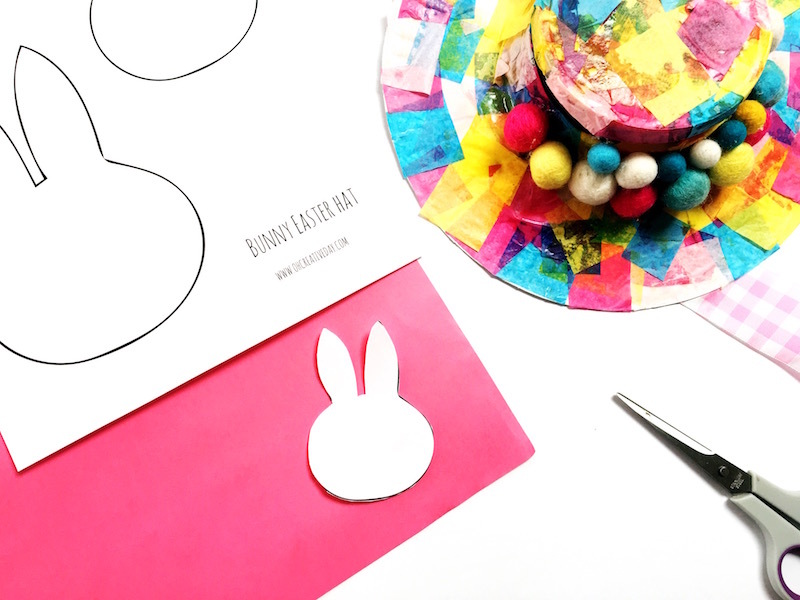 The free bunny template has three different sizes on it. Choose the size that will fit into the hat. I’ve purposely left the faces blank so that children can create their own bunny faces. You could print the template straight onto card or trace around the shape onto card. Use a strip of cardboard and do a concertina fold. Tape one end to the back of your bunny and tape the other end into your hat. Alternatively, you could use a pipe cleaner instead of folded card. 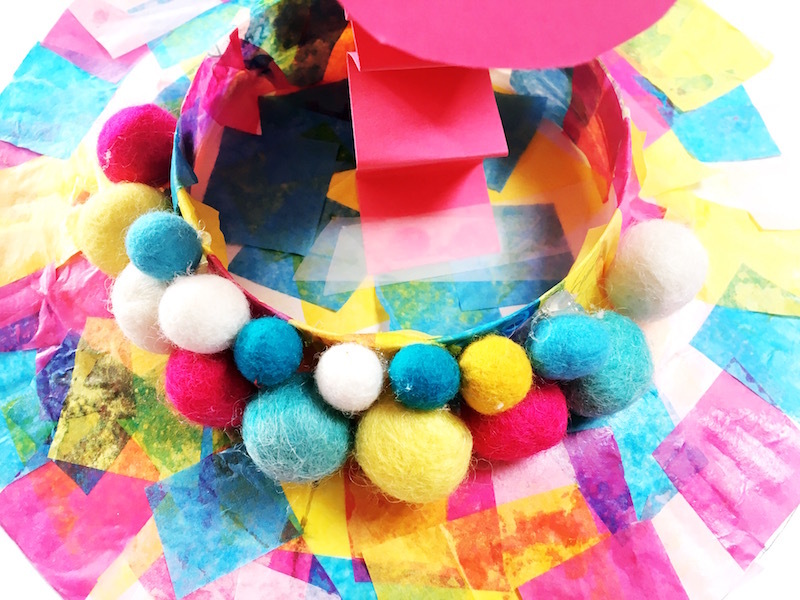 Decorate your hat with whatever tickles your fancy….. pom poms, feathers…. You’re ready to pull a rabbit out of your hat! Looking for more Easter/ Spring inspiration? Let me introduce you to some of my mates and their ideas…..